I’m working as a lecturer in Prince of Songkla University. I’m one of few people living off campus. Pattani town is quite small, to run around town it is only 12-15 km. My long run would need 2-3 laps around town. Size of the town wasn’t change much from 100 years ago only more buildings to fill up the space. When I was in high school everyone use bicycle to go everywhere to do anything from go to school, market, movie or hang out. Bicycle taxi (3 wheeler) is a way to get around town. Thinking about it Pattani is a perfect size to be a bicycle town. 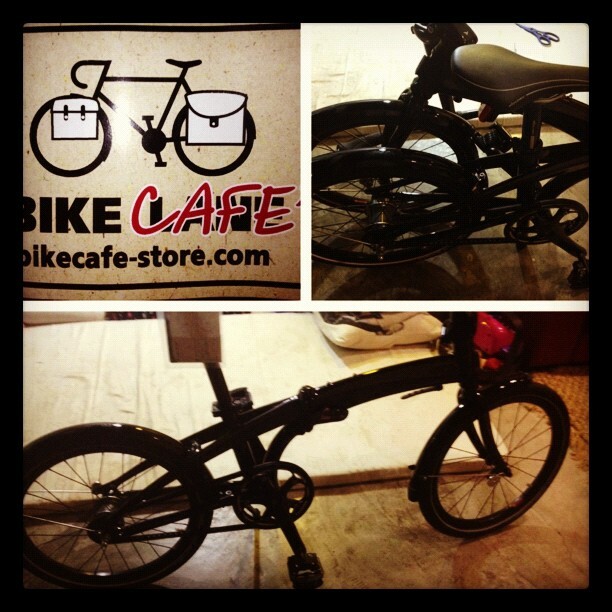 However now bicycle is a rarity. After my wife settle down with the idea of filing a divorce if I bike to work. I ride almost everyday to work. My wife got a folding bike which has become my favourite commuting bike today. My trip from home to work only take 3.5km barely break a sweat but most people refuse to bike to work saying it is too hot to ride. 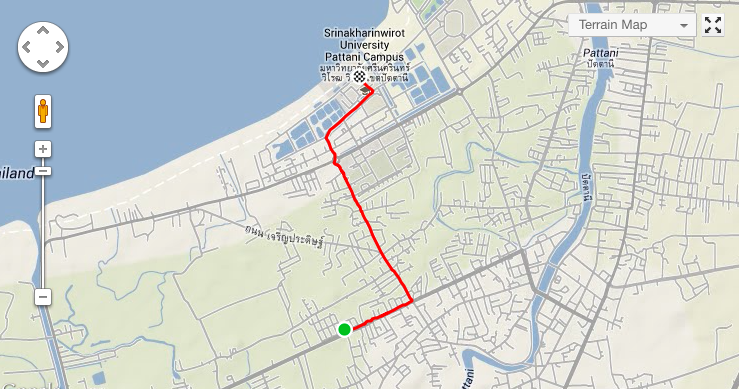 These route would go pass one of the hottest street on Pattani town. Campus street whom never sleep yet along 2km stretch there were bombing incident almost every 500 meters also. Every single 7-11 along this street were bombed and we have 3 on this 2km. Most people live on a small campus no more than 3 km. across, one way to work maybe only 1km but mostly drive a car. I’m probably live the farthest and only one riding to work. Even tough bicycle is quite popular nowadays, only morning exercise and evening exercise are only time for people on their bikes. Sometimes I just think that by bike commute, I can show my colleagues that bike can take you as far as my home (3.5km) so living on campus one don’t need any motorised vehicle at all. By participating in Festive500 would tell the friends how far can someone can just pickup their bike and ride for a trip of their life time. It actually tell me that I can easily make a trip of my dream tomorrow if I want to. It does’t take much to ride 100km per day. #Festive500 Day 2 : Route 418.